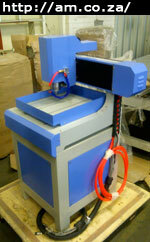 Our CNC milling machines are small-sized CNC Routers with 3D engraving and cutting functions. http://am.co.za/ They can work on flat, thin, thick, & block materials such as plastic, wood, marble and soft metal, applying high speed and accuracy. Update: we no longer sell this machine, please check our DIY CNC Router instead. Compatible with various design software, such as CorelDraw and AutoCAD, you can easily make embossment engraving, shadow engraving and 3D engraving. http://am.co.za/ Since these machines are small and extremely affordable, many clients have purchased these machines for hobbies, crafts and small businesses. Making prototypes to actualize ideas, craft gifts for corporate functions or weddings, cut decoration plates, engrave sand/wood mould for casting, etc., are at the top of the list for use of these machines. This milling machine has water tank working table with water cooling, perfect for 3D engraving on marble and aluminium. Our milling machines are for heavy industrial use. http://am.co.za/ They have a low noise-level, vigorous cutting strength, and long-time mass-processing capability. For such a small size, these machines are heavy in weight, high in accuracy, stable in movement and they offer low vibration on 3D engraving and cutting. Our milling machines are quality built with high-grade thick steel plating and an integral cast-iron lathe bed, smart dustproof and waterproof design, and rust protection on the mechanical parts. Total three stepper motors for X, Y and Z axis driving, http://am.co.za/ plus drive controllers and stop sensors. To give detailed engraving result, http://am.co.za/ the Y and Z axis are moved by high accurate ball screws, which gives each step a very tiny interval. Spindle moves on linear guide rail of gantry for X-axis. http://am.co.za/ Water-pan table with aluminium board for clip bolts moves on Y-axis. Spindle moves up and down on Z-axis on ball screw. All components wrapped in thick steel sheet on a cast-iron bed base. Stand-alone control box, low vibration and running dust from milling table, prolonged lifespan and reduced malfunction probability. 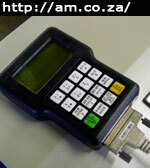 http://am.co.za/ Contains motor drivers, a control panel adjustment module, power source, and other components. With USB port for file upload, this panel is toughly built and very easy to use. LED display in English, with setting and controls for all your milling work. 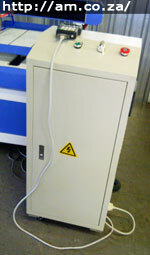 http://am.co.za/ Control panel is connecting to control box and cable is long enough to allow you walk around the milling machine. This is a down-to-earth price for the milling machines, on which No VAT need be paid. Price excludes shipping. Milling machine demonstration available all our workshop. http://am.co.za/ You are welcome to see the demo and/or bring your own material and design for testing. Milling machine training course is also available after purchase. 1 year quality warranty. http://am.co.za/ will beat it. Please check our lowest-price guarantee. Milling machines can engrave and cut most materials used in advertising & signage, home decorations, crafting and gifts. All you need is just one idea, one design and one great piece of marketing to create a successful business. Supawood. http://am.co.za/ Popular in SA for making embossed doors. Above is a popular list. 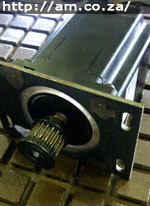 You can bring any material to us for a milling-machine demonstration. Our CNC milling machines can work on most soft metals and almost all solid non-metal materials. With the water-cooling stream, even fragile materials can be worked on. Yes, you can switch off the water-stream nozzle if desired.